If you're more concerned about your ability to record stunning high-definition video on the road than you are about your ability to comfortably and conveniently say the name of your phone, look no further than the latest model in Hitachi's Wooo series over in Japan. 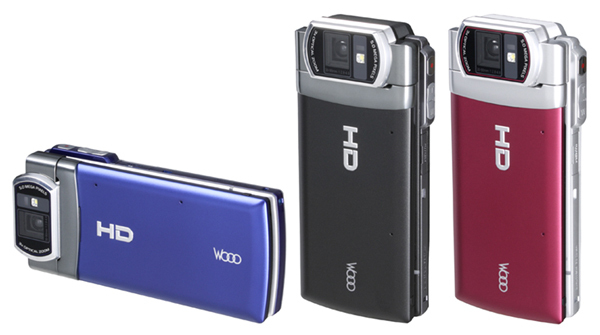 Announced earlier in the year, the Mobile Hi-Vision Cam Wooo stands starkly as one of the longest, most unfortunate model names in phone history, but we suspect that the presence of 30fps 720p recording will quickly allay any disappointment you may have with branding. Anyhow, it's finally available now on KDDI au, the country's big CDMA provider -- so go on, show us what sort of Oscar-caliber stuff you can cook up. Hitachi's 720p Mobile Hi-Vision Cam Wooo now shipping in Japan originally appeared on Engadget Mobile on Fri, 31 Jul 2009 14:52:00 EST. Please see our terms for use of feeds.